I’ve been wanting to go see the Aurora Borealis for years! Aurora Borealis (also known as the Northern Lights) is a spectacular light show that happens when electrically charged particles traveling toward us from the sun enter our atmosphere and react with oxygen, nitrogen, and other gases. 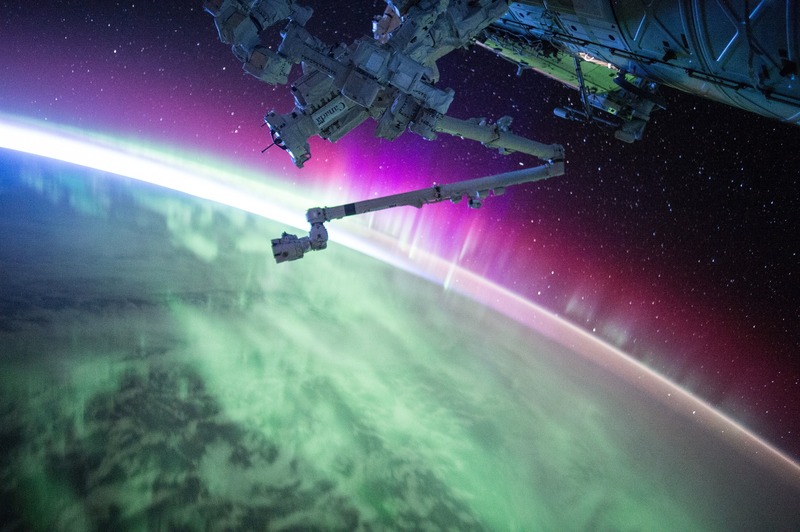 The Northern Lights concentrate near Earth’s northern magnetic pole. A similar phenomenon occurs toward the southern pole that is called the Aurora Australis (or Southern Lights). It’s On My Bucket List… Is It On Yours? Seeing nature’s dazzling light show called Aurora Borealis has been a lifetime dream of mine. I live in Florida, which is too far south to see the Northern Lights on a regular occasion. The last time I saw the Aurora Borealis in Florida was in 1989 — during an extremely strong geomagnetic storm in which the magnitude of the Northern Lights intensified to where they were visible at points as far south as Honduras! While the Aurora Borealis is normally only visible in northern places like Alaska and Canada, every once in a while the Northern Lights can be seen farther south. If you want a good chance at seeing the Aurora Borealis, you definitely want to head north — way north. 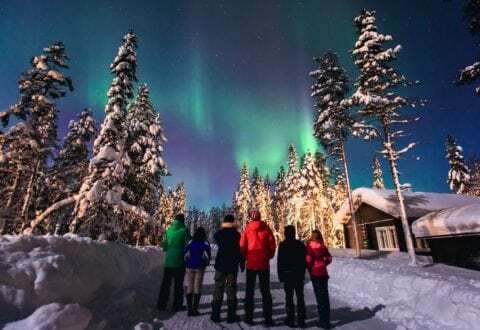 To dramatically improve your odds of seeing the Northern Lights, you’d want to plan a trip to the northernmost place in the U.S. — Alaska (year round, with peak viewing from late September to late March). Or travel to Canada (year round, with peak viewing from December to March). Generally speaking, most times of the year, the best place to see the Aurora Borealis is in a belt about 1,500 to 2,000 miles away from the magnetic north pole. Of course, you don’t always have to go to the hinterlands of northern Canada or upper Arctic Circle reaches of Alaska to catch a glimpse of the Northern Lights. An unobstructed view of the night sky — which is why Dark Sky Parks are ideal. The Northern Lights can be seen only at night. When present, you can see the lights starting 1 hour after sunset up to an 1 before sunrise. Many Aurora Borealis experts say the best time to plan a trip is during the months of September through March — when the nights are long and dark in the northern reaches of the world. 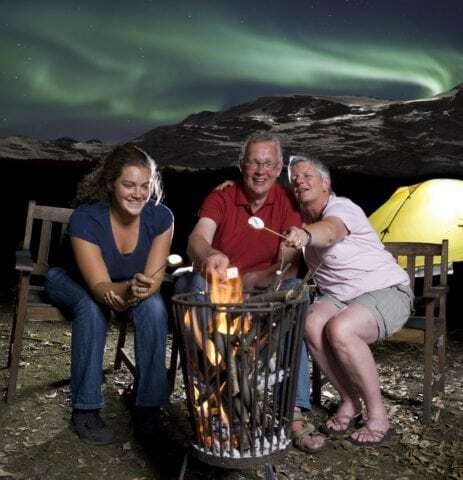 TIP: Near the top of the world, summer nights stay bright around the clock for several weeks, thus minimizing your chances of seeing the Aurora Borealis. If you’re trying to avoid the snow and ice, September and October are usually the best times to plan a trip to see the Northern Lights. By November, snow storms are usually sweeping through and this means there’s a greater chance of cloud cover which — as you guessed — will obscure your view of the Aurora Borealis. December, January, February, and March bring some of the longest, coldest nights of the year. Long nights are a definite plus, and some believe the cold weather may also increase your odds of seeing the Northern Lights. The only problem with planning a trip to see the Aurora Borealis is that the Northern Lights are extremely unpredictable. Unlike, say a solar eclipse (which I planned for months to see in 2017 and am planning to see again in 2024), you can’t necessarily know the exact time, date, and location when you’ll be able to see the Aurora Borealis many days, weeks, or months into the future. When geomagnetic activity is high, the Northern Lights are brighter. 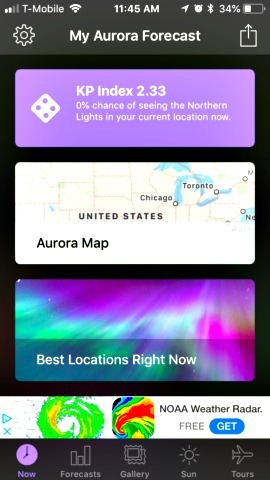 There are some great apps that can help you figure out where the Northern Lights are and when best to see them. Some even predict the Northern Lights — or at least attempt to with the best scientific tools available. What Causes The Aurora Borealis — solar winds stream away from the sun at speeds of 1 million mph. When they reach the Earth (40 hours after leaving the sun), they follow the lines of magnetic force generated by the Earth’s core and flow through the magnetosphere — a teardrop-shaped area of highly charged electrical and magnetic fields! Northern Lights Legends From Around The World — see how our forefathers believed the Aurora Borealis to be spirits… or gods… or celestial warriors.